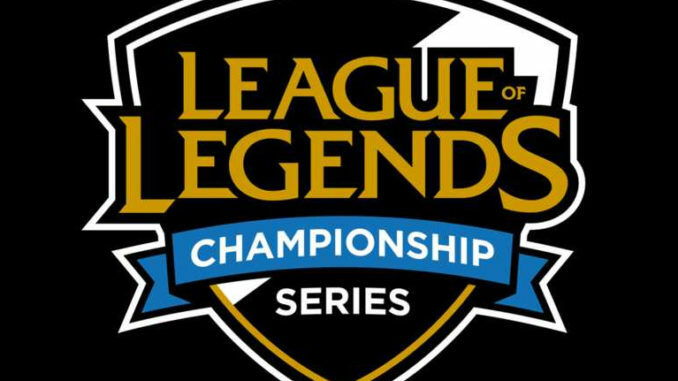 The 2019 season for professional League of Legends has been kicking off in regions around the world, with the North American League Championship Series finishing off the major regions. With several big-name roster changes, only time will tell which teams rise to the top and which will not be so fortunate. After week one, Team Liquid stood as one of three undefeated teams, shocking nobody. Over the offseason they made two of North America’s biggest moves, including world champion support Yongin “CoreJJ” Jo and worlds semifinalist Nicolaj “Jensen” Jensen. Complimented by core members Eonyoung “Impact” Jeong, Jake “Xmithie” Puchero and Yiliang “Doublelift” Peng, Liquid looked to turn their domestic success into a team that could compete at a world class level. In week one, they showed a promising start to their goal, with clean victories over Counter Logic Gaming and rival Cloud9. Team Liquid has a lot going for them, and they’re definitely the early favorite to sit in first place at the end. The other two 2-0 teams after the first week were somewhat surprising. Clutch Gaming brought together a combination of big names and pulled off an impressive string of victories over Echo Fox and Team SoloMid. World champion Gwang-jin “Piglet” Chae and world finalist Seung-Hoon “Huni” Heo headlined the team, but it was sophomore mid-laner Tanner “Damonte” Damonte who stole the show with his Akali pick against Team SoloMid. These three are supported by promising jungler Tae-yoo “Lira” Nam and support Philippe “Vulcan” Laflamme. While they started strong, Clutch Gaming still has much to prove. Rounding out the top three, Flyquest put together a team of underdogs and started strong. Eugene “Pobelter” Park and Jason “WildTurtle” Tran headline the roster. Both players are no strangers to the LCS stage, even though people say they have “fallen off” as of late. Lucas “Santorin” Larsen and Juan “JayJ” Guibert-Seminario both have something to prove, as they’ve struggled for a majority of their careers. Their fifth player, Omran “Viper” Shoura, wants to prove how he is to be taken seriously as a player. Clutch Gaming won against Golden Guardians and OpTic Gaming in the first week, who range at the lower end of the rankings. Two victories are two victories, and the real test of skill is yet to come. Four teams split their week one results and rest in the middle of the standings. Team SoloMid will probably consider this a success so far, as they hope to build synergy in their roster. They kept two players over the offseason: Jesper “Zven” Svenningsen, and the crown of North America, Soren “Bjergsen” Bjerg. To supplement these big names, SoloMid acquired Andy “Smoothie” Ta from Echo Fox and Matthew “Akaadian” Higginbotham from OpTic. All the way from Turkey, top laner Sergen “Broken Blade” Celik came to prove that even people from the middle east can make it big. While their loss against Clutch was a shock to most people, the way they handled 100 Thieves on the first day was impressive. Cloud9, one of the higher rated teams, found themselves with an early loss against Liquid during the inaugural game. Their roster remained mostly unchanged between seasons. Eric “Licorice” Ritchie, Dennis “Svenskeren” Johnsen, Zachary “Sneaky” Scuderi and Tristan “Zeyzal” Stidam all returned and started for both of the games. Their new acquisition came in the wake of Jensen being bought out by Liquid, and thus Cloud9 acquired Yasin “Nisqy” Dincer as their starting mid-laner. Cloud9 will likely build their unprecedented use of substitute players. Robert “Blaber” Huang and Greyson “Goldenglue” Gilmer both saw play from the bench last year, and it’s a sure bet they will see even more in 2019. Nisqy showed promise, even in the loss to Liquid, and the strong showing against 100 Thieves inspired more than enough confidence in fans of Cloud9. As sure as the standings enter the bottom half, so does the quality of the teams. While boasting the same record as TSM and Cloud9, Echo Fox simply didn’t bring that “wow” factor. Echo Fox put together a team of people who might be familiar to LCS fans, although they’ve had little impact on the scene as a whole. Yoonjae “Rush” Lee and Jaehun “Fenix” Kim are the only two who posed a true threat internationally, although they still fell short. Colin “Solo” Earnest, Apollo “Apollo” Price and Nickolas “Hakuho” Surgent are no slouches, but they still were not able to pull off an opening-day victory against Clutch. However, they beat Golden Guardians on the second day; at least they have that going for them. OpTic Gaming, while sitting in the middle of the pack, have a power level that remains impossible to gauge. They played four of their bench players in week one, and still took a win from Counter Logic Gaming. World champion Minho “Crown” Lee is the only listed starter to have played, and he looked exactly like a world champion should. Many will be watching to see how Crown plays with people who are supposedly better than his teammates. Of the teams that did not win in week one, 100 Thieves is the most surprising. Picking up two-time world champion Junsik “Bang” Bae and adding him to an already successful roster should have been the perfect recipe for a strong season, but they lost early to TSM and Cloud9. After their disappointing run at the world championships last season, 100 Thieves can only go up from here. With star talent such as Chan-ho “Ssumday” Kim and Zaqueri “Aphromoo” Black, 100 Thieves stands a chance to turn things around. Despite placing last in both splits last season, Golden Guardians made a true attempt at bettering their roster for 2019. Building around Matthew “Deftly” Chen and Juan “Contractz” Garcia, the team picked up Kevin “Hauntzer” Yarnell from TSM, Joo-Sung “Olleh” Kim from Liquid and legendary mid-laner Henrik “Froggen” Hansen from the free agency. In all honesty, it feels like a team put together using their second choice for every position, and their competition in week one was mediocre. The rest of the teams in the league are likely to be better than Echo Fox and Flyquest, so the Golden Guardians have some serious work to do. To nobody’s surprise, Counter Logic Gaming finished off the standings. For what it’s worth, the members of CLG have all shown streaks of talent at one point or another. Darshan “Darshan” Upadhyaya had a successful year-long stint as one of the best top-laners in North America. Tristan “PowerOfEvil” Schrage made one hell of an impact when he kicked his career off in Europe. Trevor “Stixxay” Hayes made the finals at the Mid Season Invitational a couple of years ago, when he nearly scored a pentakill against some of the best players in the world. Vincent “Biofrost” Wang has even made the world stage with TSM. Nevertheless, they find themselves washed up and with nowhere to go but up. It’s rare that every team has the potential to drastically influence the standings in North America. Only time will tell who the best teams are.